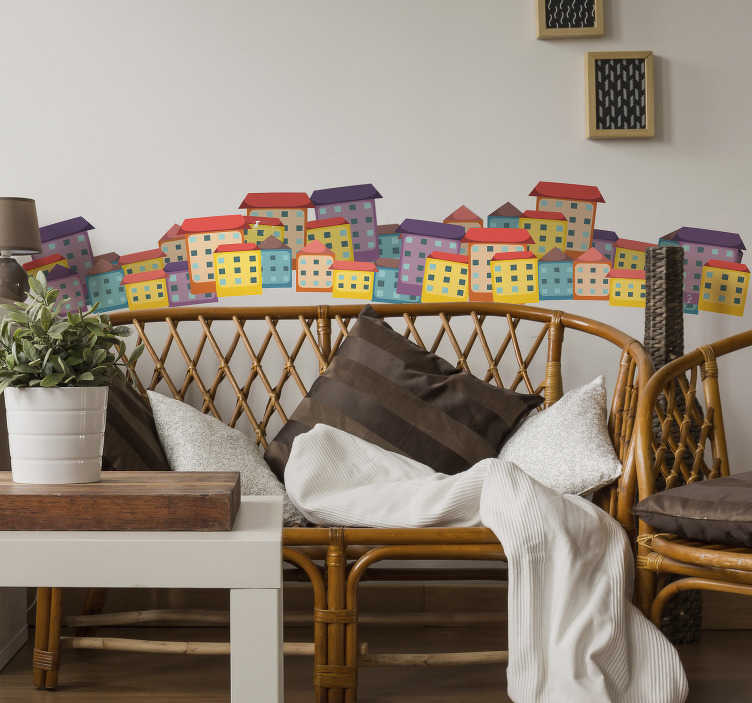 Decorate your home with this fantastic wall art sticker, depicting a group of coloured houses! Does it remind anyone of Balamory? Whether it does or not, we think that this home decal is perfect for any part of your home! Wall, bedroom, living room - What more could you want!